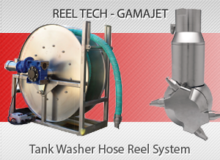 More and more businesses are seeking vessel and tank washing equipment that is effective; and use less water & chemical. Bete and M-Series by Spray Nozzle Engineering deliver a large range of tank washers with excellent features to save costs and most importantly delivers great tank cleaning outcome. 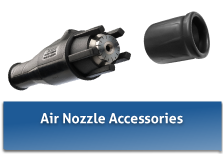 BETE Industrial Spray Nozzles is a pioneer in the field since 1950 with the largest range of spray nozzles available in hundreds of different materials. Choose from a range of different spray patterns: rotary fan solid stream, rotary jet solid stream, rotary flat fan, static multi nozzle, static spiral flow or spray ball; to find a suitable solution for your need. 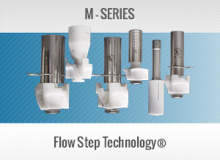 The latest tank washing innovation, M-Series Flow Step Technology by Spray Nozzle Engineering, also delivers exceptional results with less water and chemical. These patented nozzles release concentrated streams of higher impact liquid, delivering more efficient distribution, greater impact and faster C.I.P cycles*. Whether you are in need of urgent assistance or simply have a product or application enquiry, it is good to know that your total spraying solutions are a button away.